The Hardy Demon was the outright winner in the Trout and Salmon 15ft rod test last summer and the new 11ft Hardy Demon Switch is another impressive size in the Demon range. The blank is marked "AWS 11’ #7/8 T". AWS stands for "All Water Series," and the T is used to indicate the idea behind the rod’s design. T stands for Tactical, and this translates into a standard double-handed rod action. Regarding action, the rod bends smoothly with a middle-to-tip flex and fast recovery. 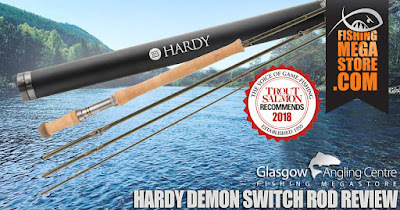 Other Hardy blanks are marked with an E, which stands for "Extreme" and denotes a rod designed on the edge of what might be considered normal, such as an ultrafast action single-handed rod designed for maximum distance and power. There is no Extreme option in the switch rod range. The rod is built on a redesigned Sintrix 330 blank. Hardy’s proprietary Sintrix technology uses a resin material that incorporates “silica nanospheres” that “improve strength and resist compression from all angles”. Sintrix 330 promises to deliver an improvement of 30 per cent in compressive strength over a conventional rod, which is to say that the blank is much stronger when it bends during casting. 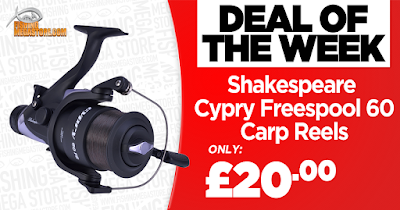 The rod has a lovely metallic olive finish with high-quality dark metal Fuji rings and a smart down-locking aluminium reel seat – there are two nuts, which are easy to spin with a flick of the finger, and together they lock the reel securely in place. The handle is slim and feels very comfortable in the hand. The bottom handle is shorter, as befits a switch rod, and the whole configuration encourages a lighter touch. 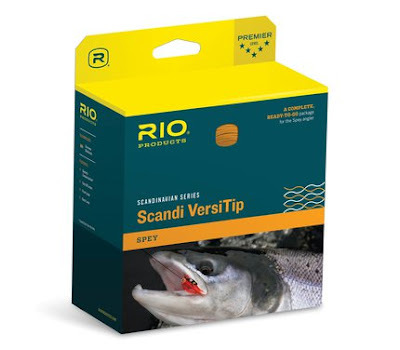 The rod has was tested by Trout & Salmon using the 7/8wt model, rated for 450-480 grain fly lines, with a Rio Scandi Short shooting-head and Gripshooter running line. The rod has been designed for modern salmon fishing: it’s accurate, loads easily and the tip recovery is fast. It feels incredibly light in hand, handles a decent amount of overhang and copes with a variety of spey-casts. It also casts well overhead, propelling the short shooting-head a long way. It’s forgiving if your timing is a little out, and will, therefore, suit most casters and casting styles. 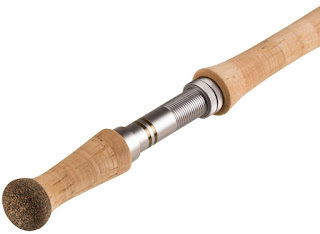 Switch rods are commonly associated with small rivers and summer runs of grilse, however, they can be beneficial anywhere space is tight – the shorter length means a smaller D-loop and so less room is required behind the caster. Matched to a short shooting-head, such as the 34ft Rio Scandi Short 7/8wt, it is possible to fish in places where longer rods simply cannot go. There is also the benefit that a shorter, lighter rod is easier to use and less physically demanding over the course of a day. You may not be able to cast quite as far as with a 14ft rod, but when the right combination of shooting-head and running line is deployed you may find that the distances you can reach are pleasantly surprising. This would be an excellent rod for fishing on smaller, wilder rivers or lower summer flows when the grilse are running and wee black flies are the order of the day. This article was brought to you in association with Trout & Salmon Magazine. Posted by Fishingmegastore at 13:07 0 Comments - Click Here to Comment! As a chain is only as strong as its weakest link, a sea fishing rig is only as strong as its weakest point – the knot. 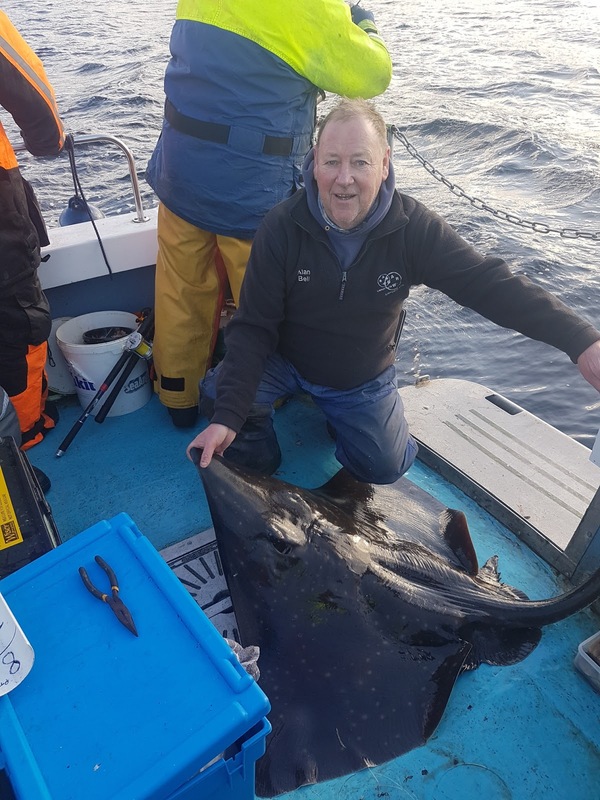 And if you fish for Skate, Sharks, Tope or big Conger in UK waters, there is always the potential to hook into a fish of a lifetime, therefore you need the strongest possible connection between your mainline and your shock leader. One such knot that is hard to beat is the PR Knot. The PR Knot is already very popular in America with Jiggers and Poppers as it offers one of the strongest, smoothest and most streamlined connections imaginable. It's also perfect for UK sea anglers because it allows you to connect 50lb sea fishing braid to an 80lb leader, and if required, 130lb braid and 220lb leader for the big stuff. If tied properly, it will have a super small profile and should run through your rod guides easily. The braid scissors are used to cut a length of braid so you can use it to create your PR Knot. The PR Bobbin is used to create coils around your overlapping braid and mainline and the lighter is to create a ball tag at the point where you cut off the excess leader. Cut a piece of braid and feed through the PR Bobbin tube. The number of wraps on the bobbin will determine the length of the PR knot. Rubber rings holds the braid on the bobbin. Wind the braid on the bobbin about 10 or so times. Lay about 20-25cm of shock leader and braid alongside each other. Wrap a couple of coils of the braid and the shock leader around your right index finger and pinch the braid and leader tightly on the left side. 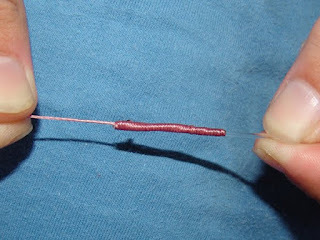 With your right index finger and thumb, pinch a piece of braid from the PR Bobbin tightly, ready for spinning. Spin the bobbin to create a loose layer to get started. At one end, create a few tight wraps. Lay the braid and mono horizontally. Spin the bobbin from you right hand to your left hand to create tight loops. If the loops are not tight, there is a risk of the knot unravelling. Spin the braid back over itself from left to right. Tie off with a half hitch at one end then tie around 10 alternating half hitches for about 1 cm. Trim off the excess leader leaving a few millimetres. Use the lighter to create a ball tag at the point where you trimmed the leader. The key thing in tying a PR Knot is maintaining tension as your create your coils around the braid and mainline. Any slippage introduces slackness into the knot and the potential for the knot to unravel. So the bobbin is weighted to allow you to swing the braid coils to create tight wraps and a neater finish. The PR Bobbin also has a handy drag system which lets you adjust the tension as required. There are other available options for tying the PR Knot. 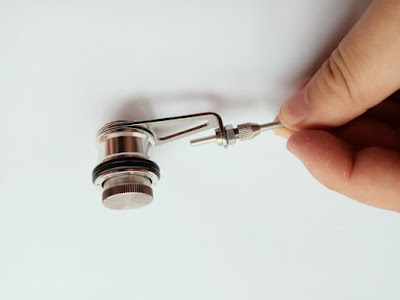 For example you could use a fly tying bobbin, however, to achieve the level of tension required, you need to wind about 4 or 5 turns of braid around one arm of the bobbin holder. It definitely works but a PR Bobbin makes the job a lot easier as it is designed to eliminate all that hassle. The perfect PR Bobbin for the job is the Stillwater Yomato Bobbin Knotter. It's made from good quality stainless steel, is easily adjustable for tension and has a deep spool for holding the ideal length of braid for knotting. It also features two rubber bands for locking the braid on the bobbin. So if you are looking for a secure connection between your mainline and leader, being able to tie the PR Knot is an essential skill to master. Also, using a PR Bobbin such as the Yomato Knotter will help you tie a tighter and more secure knot so you can be confident that your knot is 'not' the weakest link in your rig. Posted by Fishingmegastore at 13:39 0 Comments - Click Here to Comment! 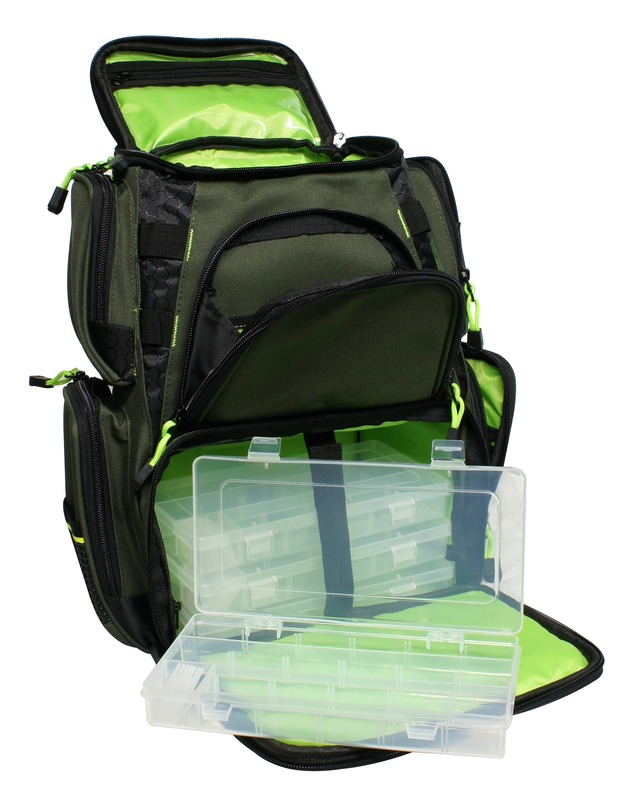 Deal of the Week - Stillwater Backpack With 4 Lure Boxes For Just £50! 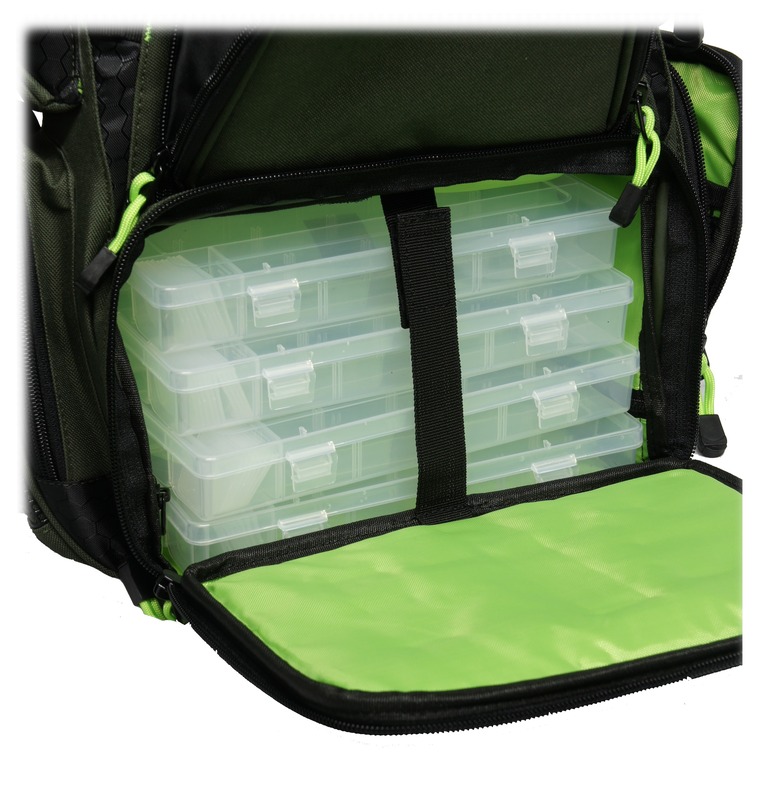 Complete with 4 Lure Boxes this is the ideal mobile session pack for a roving angler that will let you carry all the tools, lures, gear and components you'd need. The bag features an array of zip-closure pockets designed just-so for the angler. 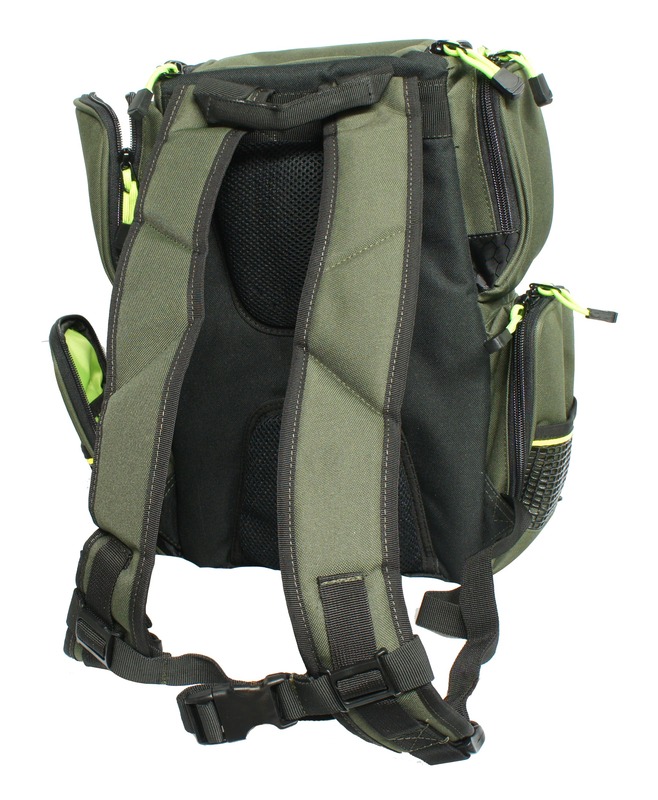 All the pockets feature a high-visibility green colour, so you'll never lose any small, stray components at the bottom of your bag. The top-opening pocket is the ideal size for a reel and other bits n bobs, the 4 side pockets feature mesh sections inside and out for keeping gear secure and close to hand, and the front-opening main compartment comes complete with 4 lure/tackle boxes for storing all your lures, components etc safely and tidily. A seriously comfortable, seriously useful bit of luggage for long days covering lots of the water. Posted by JKN BW at 18:01 0 Comments - Click Here to Comment! PROREX is for the angler whose quest is big predators. Whether targeting big Pike, Zander or Perch, the now award winning PROREX range of reels, rods and lures covers every part of the predator angler armoury. The Screw-In system is designed to compliment and enhance the movement on Prorex's soft lures rather than inhibit like a standard jig-head. Check out this rigging video to see how the whole system comes together for an irresistible swimbait! Tuneable to suit the water and the weather this is an exceptionally well thought out rigging system. Perfect for Pike anglers that love to fool their prey with as natural a presentation as possible. Posted by JKN BW at 15:19 0 Comments - Click Here to Comment! Featuring a 4+1 bearing system, aluminium spool, reliable felt drag and smooth Freespool Baitfeeder system. This reel provides exceptional value and is perfect for most Pike and Carp bait fishing ideal for a winter session behind the alarms. Now for just £20 Grab one while stocks last! Posted by JKN BW at 09:56 0 Comments - Click Here to Comment! Posted by Gary Wingate at 14:29 0 Comments - Click Here to Comment! 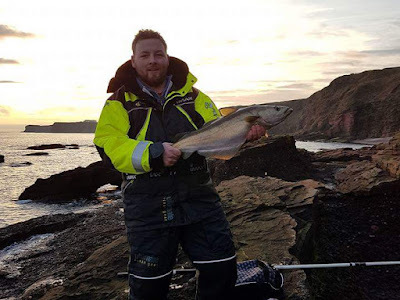 Fishingmegastore Fish of the Month Entry January 2018 - Arbroath Pollack! Ben McAlpine with his first fish from the east coat - a cracking Pollack that took a Squid/Lug/Cart cocktail bait intended for Cod! Posted by Gary Wingate at 00:26 0 Comments - Click Here to Comment! 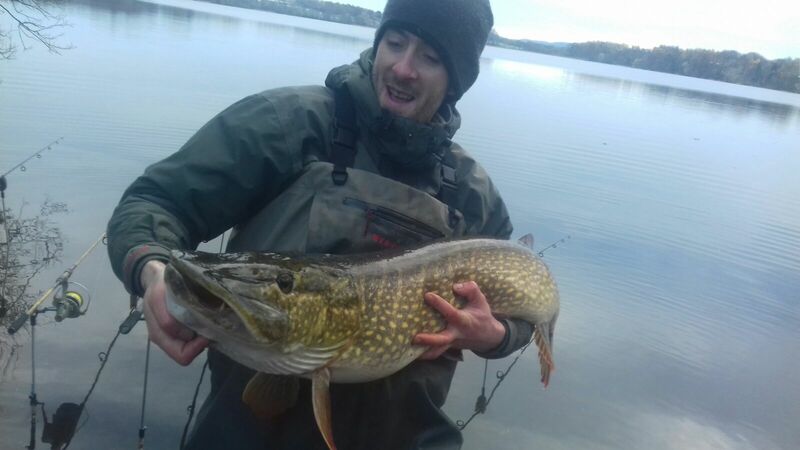 Fishingmegastore Fish of the Month Entry January 2018 - PB Pike! Robert Kippen with his new PB Pike, safely returned after a quick photo! Posted by Gary Wingate at 00:21 0 Comments - Click Here to Comment! 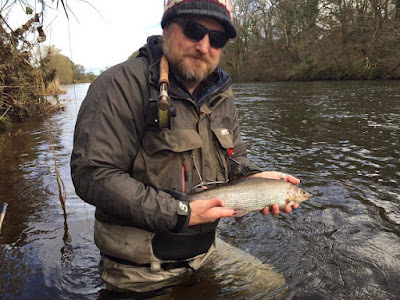 Fishingmegastore Fish of the Month Entry January 2018 - Annan Grayling! Adam Payne caught this nice Grayling from the Riven Annan at Hoddom! The fish took a Quill Bodied Jig Nymph fished on the top dropper and was returned to fight another day. Posted by Gary Wingate at 00:18 0 Comments - Click Here to Comment!